Melissa Arntzen has found her niche when joining Element Mortgage, combining her thirty-three years in the Mortgage and Real Estate Industry with her desire to serve. 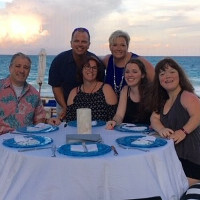 It is second nature for Melissa to connect with people and build strong relationships, professionally and personally. The core foundation of her strong and rewarding career has been her passion for helping others achieve success. Today, she utilizes that passion by focusing on assisting Home Buyers and Veterans buying their dream home and supporting REALTORS® in building their business.